BulgariCo forms new limited companies according to your requirements. The service includes all the necessary additional formalities so that the company is ready to trade. The minimum required equity capital by law is BGN 2 (EUR 1). Normally it takes two weeks to form a new company in Bulgaria. You can choose any name for your business if it is available. To avoid delays, we ask you to provide us with two other alternative names. A Bulgarian limited company may have a single shareholder, who may also be its sole representative and manager (director). The company may be seated anywhere in Bulgaria. Its management address may differ from the registered address. Contact us to order your Bulgarian company formation and benefit from the lowest (10%) flat tax rate in the EU. Our ready-made shelf companies have never traded before. You can start using a Bulgarian shelf company purchased from BulgariCo within 24 hours from signing the share transfer agreement. Both shareholding and management control are transferred to the new owner immediately. A full power attorney to represent the shelf company may be issued upon request so that you can use the company until registration in the Bulgarian Companies Register takes place. All of our pre-registered Bulgarian shelf companies are free of any liabilities, liens and charges and offer the same level of security as the ones formed as a result of customer order. Call Mr. Georgiev at +359 89 2217417 or fill in our contact form to discuss your requirements and the options available. Our nominee director and shareholder service are secure and safe. They are based on well drafted thorough trust agreements and special director service agreements. After becoming familiar with your business we will make you an offer. We also need to assess our work loads and responsibilities for the nominee services as well as the scope of our involvement. We normally split the roles of Director(s) and Shareholder(s) between different persons and/or legal entities. For extra security joint signing rights may be ascertained. Pre-approval of actions instruction mechanism can be introduced in the trust agreement. In general we employ the best global practices of the trust services industry. Should you or your legal advisors have special requirements we will be very committed to take them into account. Forming a foundation is especially beneficial when the ultimate beneficial ownership of a company or business, including investment assets needs to be structured in a neat and orderly fashion. The functioning of Foundations in Bulgaria is governed by a thorough and far-reaching statutory act. We can provide professionals to act as some or all of the governors under trust. The founder(s) of the foundation can be any person and even a third person. The beneficiaries can be either explicitly named persons or people that meet certain criteria or decided by the board. In all cases the structure can be fine-tuned to meet your needs, requirements and ultimate objectives. This structure can be used for both temporary and permanent needs and survive generations intact. We form European SE companies as per Council Regulation (EC) No 2157/2001 of 8 October 2001. An SE company may be set up only within the territory of the Community (not the EEA) under the conditions of the Regulation. A Merger of limited-liability companies formed under the law of two different Member State is required. Our service takes up to three months and the speed depends on the ease of the M&A execution. If due diligence is required a longer period may be necessary. 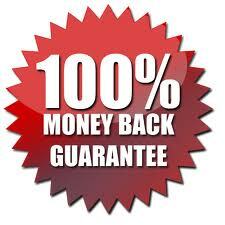 We provide Money Back Guarantee for all our new companies and ready made shelf-companies if you are not satisfied by our service and have reasonable complaints. Terms and conditions apply.